TASHKENT -- As part of Uzbekistan's efforts to develop trade with its southern neighbour, the country is working to electrify the Karshi-Termez railway to the Afghan border. An electrified railway will reduce the costs of shipping cargo to Afghanistan and will provide larger profit margins for small businesses in both countries that use the railway, stakeholders say. An Uzbekistani-built railway line in Afghanistan already meets the Karshi-Termez railway. The Hairatan-Mazar-i-Sharif railway that Uzbekistan built is Afghanistan's first long-distance common-carrier railway. 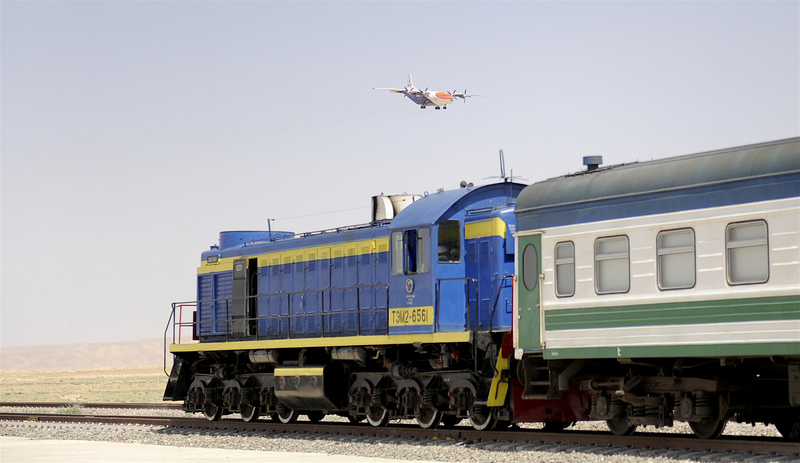 "Once the whole [Karshi-Termez] railway is electrified, electric locomotives will replace diesel ones," Uzbekistan Railways spokesman Oibek Mamadaliyev told Caravanserai. "Electricity is cheaper than hydro-carbons. Electrification will reduce the cost of moving goods and passengers to Termez." Other benefits include "faster trains" and an "improved environment", he said. Uzbekistan is budgeting 1.4 trillion UZS (US $428 million), including a 715.2 billion UZS (US $220 million) loan from Japan, to electrify the 325km-long line by this autumn. On December 29, railway workers celebrated the electrification of the first 90km-long segment from Karshi to Dekhanabad. "Electrification of the Karshi-Termez railway expands Uzbekistani's opportunities to access not only the Afghan market but also ports in Southeast Asia ... and will increase our country's role as a transit point for [inter-continental] cargo," Nurali Kuziyev, a spokesman for the Ministry of Foreign Economic Relations, Investments and Trade, told Caravanserai. Other infrastructure work is creating a virtuous circle of economic benefits for Uzbekistan. The Talimarjan power plant, situated 300 km from Afghanistan, on August 26 began operating a new generating unit with a capacity of 450 MW. The plant burns natural gas. In December 2015, Uzbekistan committed to increase its export of power to Afghanistan by 10% in 2016, Caravanserai reported earlier. Statistics on the actual export of Uzbekistani power to Afghanistan in 2016 were not available at press time. 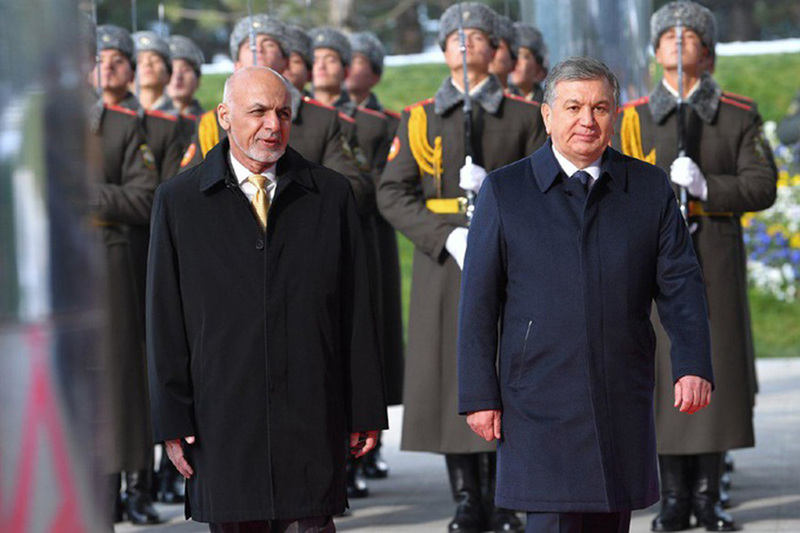 The expanded capacity means cheaper electricity in Uzbekistan and for Afghanistan. The Karshi-Termez railway has been operating since 2007 and the Hairatan-Mazar-i-Sharif line since 2011. The Asian Development Bank (ADB) financed the Afghan railway. Compared to 2008, "job opportunities doubled [for residents along the new Afghan railway] and have shown an overall growth of 10–11% per year", the ADB said in a report published in June 2013. "About 7 million people [in Afghanistan] are overall beneficiaries of the project." 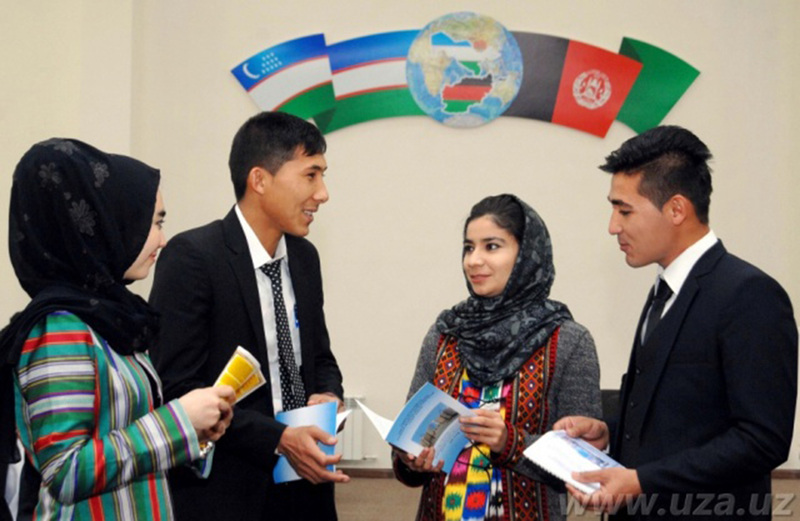 Joint business ventures between Uzbekistan and Afghanistan are helping to foster economic growth in northern Afghanistan, but trade between the countries depends on the development of transport routes. From January through October 2016, bilateral trade reached 1.4 trillion UZS (US $429 million), according to the countries' joint commission on trade. Besides the railway that links Uzbekistan and Afghanistan, Uzbekistan is working on a highway upgrade and plans to invest in renovating the Salang Tunnel, which connects northern Afghan cities with Kabul. "By 2020, [Uzbekistan] plans to completely upgrade the highway from Samarkand to Termez ... which carries cargo going to Afghanistan," Kuziyev said. Since 2015, the Termez Cargo Centre has been serving "small business owners involved in Uzbekistani-Afghan commerce as well as [shippers] of goods in transit", he said, adding that the facility has a "parking lot for 300 trucks, a customs terminal" and other facilities.